This easy sweet ladoos are prepared during festivals like Ganesh Chaturthi for Naivedya or Diwali. Powder the sugar along with the cardamom. In a thick bottom kadai, add ghee. Add the atta and mix well-the mixture will start bubbling, keep stirring. Roast the atta and chick pea flour for 20-25 minutes on low flame stirring continuously. Switch off the flame allow it to cool a bit(you can say it should be warm, this is because when we add sugar powder it should not melt)and add the powdered sugar. 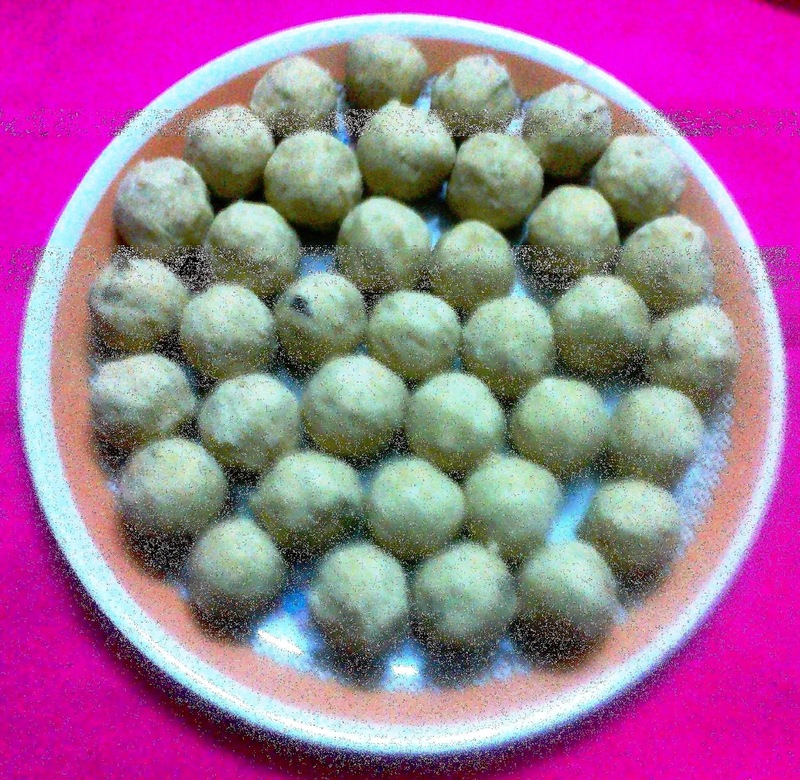 Add raisins and roasted cashew nuts add it to the mix and make laddoos while the mix is still warm.